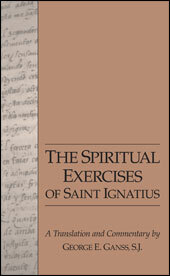 Consistently rated amongst ‘Books that have changed the world’ The Spiritual Exercises of St Ignatius is a small manual which distills a lifetime of spiritual experiences and learning of the saint. Over the course of four centuries it has gone through more than 4500 editions – translated into many languages. According to Ignatian Scholar – George Ganss – this accounts for more than one new edition every month since its first publication. An Incredible testament to its influence. However before you decide to buy it – be warned it is not a book to be read – but a book to be experienced. What is meant by this is that the manual was never intended to be read, curled up by the fire, you would be disappointed if you were to read it as you would any other book. It has no literary or aesthetic pretensions – moreover it is intended as a manual for the ‘director’ or a retreat – not the retreatant themselves. It was first published by Ignatius reluctantly, indirectly to clear his name. Because of the radical changes that took place in the lives of people experiencing the exercises – princess, dukes, professors as well as many others – Ignatius had attracted a lot of suspicion, and at times even resentment by those who didn’t understand his method – and this ignorance made them suspicious. His enemies slandered Ignatius – accusing him of bewitchment, so he submitted his Exercises to the highest authority – The Pope. His greatest critics, as is often the case, were from within the Church itself – driven by jealousy, perhaps, and also an understandable suspicion of anything too new at a time of tortuous upheaval, schism and reform in the Church. After an investigation Paul III wholeheartedly approved the Exercises in 1548. Based on the experience of St Ignatius of Loyola, Ignatian spirituality is a way to pray, an approach to making decisions, and a practical guide to everyday life. Ignatian spirituality sees God as actively involved in the world and intimately involved with us in every moment. It is at the heart of the work of the Jesuits today. The Spiritual Exercises of St Ignatius are a way of focusing our prayer and helping us respond to God as he is present and calling us in our deepest desires. To understand a little more about the Spiritual Exercises you may have time to read these blog entries. 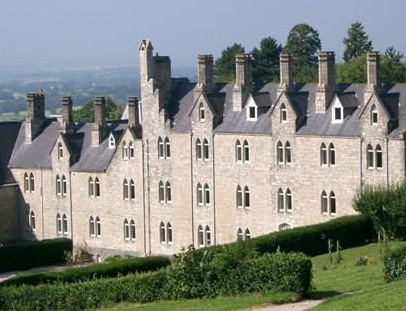 Many people find Ignatian ways very helpful in a modern world that can be difficult to hear the voice of God – so making Ignatian retreats, or even just being able to talk to an Ignatian spiritual director become an important part of their lives. If you are interested – but one to explore more from the safe anonymity of the web below are some links that may help. Loyola Press – 3 minute retreats! Other 6 – where did you find God today? Please let me know if you would like a link included, or if a link is broken. I am not responsible for the content of external links.